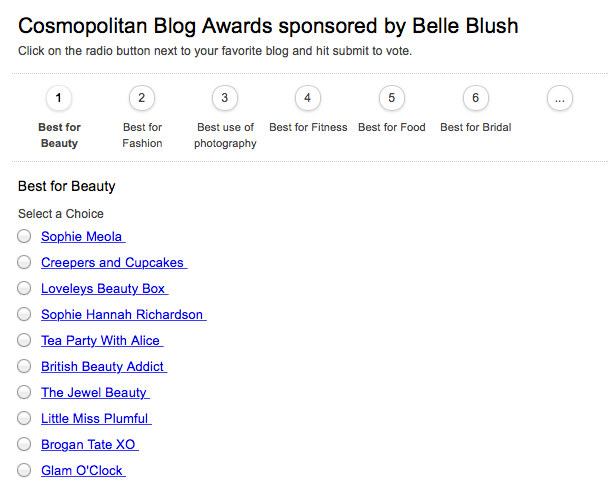 Shortlisted for Cosmo Blog Awards! Cosmopolitan have finally revealed their shortlist for this year’s Cosmopolitan Blog Awards and guess what? I’m on it! *squeals with excitement* I just want to say a HUGE thank you to all of you that nominated me. It really does mean the world to me. It’s nice to know that people actually read and enjoy what I have to say and that I’m not just talking to myself. 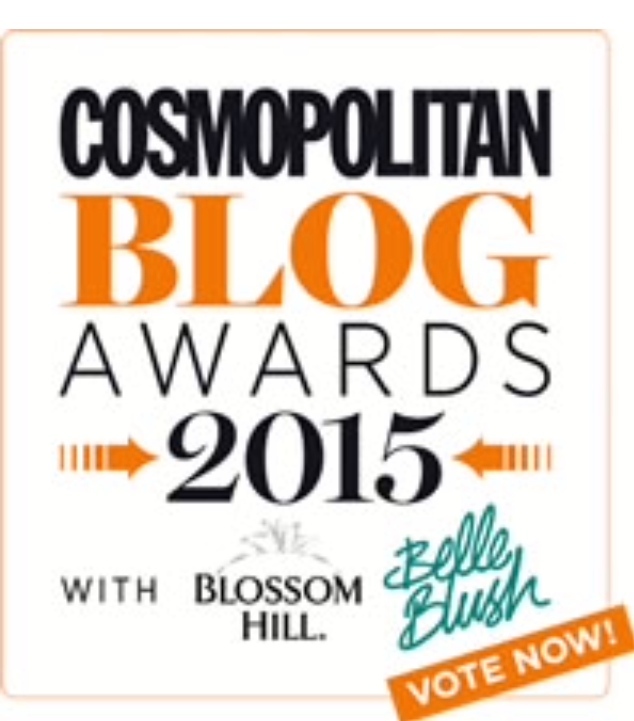 I have one more favour to ask of you… Now that I’ve been shortlisted, I would really appreciate it if you could VOTE FOR ME 🙂 Just head over to http://www.cosmopolitan.co.uk/entertainment/news/a38875/vote-shortlist-blog-awards-2015/ and click Little Miss Plumful in the Best for Beauty category. Yes that’s me amongst the likes of Brogan Tate XO and Sophie Meola. Oh.My.Gosh. I’m smiling from ear to ear – THANKS ALL!